The most complete Canada Post shipping solution currently available for your Magento store, the Collins Harper Canada Post 2.0 Shipping Module is built on Canada Post's newest Web Services API (2012) to provide a completely streamlined shipping solution for the Magento merchant. Create Shipments with Canada Post. Create and Send Return Labels to Customers. Create and Print Manifests (for Canada Post Commercial customers). Allow merchants to require signature for specific packages, or require insurance coverage for valuable packages. Allow customers to have parcels delivered directly to a Post Office in Canada. New to Canada Post? Sign Up for a Canada Post account directly though the application to automatically retreive your account information and set your payment options with Canada Post. Need help? Please contact us at customersupport@collinsharper.com. Paid installation is available. Please watch the video below to see the module in action as well as learn how to install and configure the module. To view a demonstration of the installation process, please click on "Product Description" above these instructions to view the video. Our modules are guaranteed to work on a server running a Linux distribution. We do not test our modules on servers running any version of Windows Server nor Mac OS X Server. Therefore, we cannot warrant or guarantee that these modules will function with desired results if installed on those platforms. Doing so, is of your own accord and we are not held accountable for support on these platforms. We recommend that you maintain a backup of your Magento database and Magento site, should things ever go awry. For additional instructions on how to create backups for your site, please refer to these instructions. Ensure that you have a compatible version of Magento installed. There are no guarantees that this module will work properly on an earlier version of Magento. Use only the version[s] that the module is intended for. If you have previously installed our Canada Post Shipping module for SellOnline, use the following instructions to disable the module, in order to upgrade to this release, Canada Post 2.0. If you prefer to do a clean installation of this module, please use the following instructions to remove the module from your site. Go to your Magento site's admin panel. Under System -> Magento Connect, click on Magento Connect Manager. You will be brought to a page where you will have to input your credentials. They should be the same credentials that you use to log into the admin panel. Under the section "Manage Existing Extensions", scroll through the list until you see the module you wish to remove. On the drop-down menu, select "Uninstall" from the list of Actions. Then click on the Commit Changes button. A terminal-like window should appear at the bottom and give you the results of the uninstallation. If it's successful, proceed to "Performing a fresh installation...". If not, troubleshoot the error. Exercise caution when removing the module with this method. Only remove the files belonging to the module; doing so otherwise, could cause other modules to malfunction. Tip: It helps to have the module extracted in another location so you are able to view the contents that come with the packaged module, while going through your Magento site's directory and removing files concurrently. Navigate to 'app/etc/modules/'. Delete 'CanadaPost.xml', and 'Collinsharper_Mfeed.xml' if it exists. Navigate to 'app/code/local/Mage'. Delete the CanadaPost folder (all files in it). Navigate to 'app/code/local/Collinsharper'. Delete the Canadapost and Mfeed folders. Whether you are performing an upgrade or a clean installation of this module, the instructions will be similar for both cases. Log into your Magento admin panel, if you have not done so. Under System => Magento Connect, click on Magento Connect Manager. If we have provided you with a package file, simply locate the package file on your machine and upload it to your site. A terminal-like window should appear at the bottom and give you the results of the installation. If it's successful, click on the Refresh button to reload the page. You should now see the new module listed at the bottom. If the installation failed, troubleshoot the error. All products are required to have an accurate weight attribute. Failure to do so, may cause the module to produce undesired results. Go to the front end of your Magento site, a.k.a. your store's front page. Add any item to the shopping cart and click on Checkout (or similar). Provide a destination location and click on "Get Quote" to get various shipping methods available. If you encounter any issues, please download this file, extract & execute the script. Return your results to us by submitting a ticket with the results attached. The Handling Fee is not handled by Canada Post, and will have to be implemented through Magento. Seller is able to to specify a handling charge for all shipments in the configuration panel/ 'Calculate Handling Fee' allows seller to choose between: Fixed: A flat handling charge applied to the shipment. When this option is selected the value specified in the 'Handling Fee' field is taken as a dollar figure, i.e. Handling Fee = 2.5 --> A handling fee of $2.50 will be added to the total order/each package (based on the option specified in 'Handling Applied') Percentage A variable handling charge applied to the total value of the shipment, either pre or post tax depending on the setup in the Magento tax module. 'Handling Applied' (only applicable when seller sets 'Calculate Handling Fee' to Fixed) allows seller to choose between: Per Order: The fixed handling fee specified in the 'Handling Fee' field applies to the entire order Per Package: The fixed handling fee specified in the 'Handling Fee' field applies to each package in the shipment. 'Handling Fee' allows the seller to specify the value of the Handling fee to be applied based on the method specified in the 'Calculate Handling Fee' field. If Calculate Handling Fee = Fixed --> the 'Handling Fee' field is taken as a absolute currency figure, i.e. Handling Fee = 2.50 --> A handling fee of $2.50 will be added to the shipment/per package (depending on option selected in Handling Applied). If Calculate Handling Fee = Percentage --> the 'Handling Fee' field is taken as a percentage of the total (pre-tax) shipment value, i.e. Handling Fee = 1.50 --> A handling fee of 1.5% of the pretax sales total will be added to the shipment. 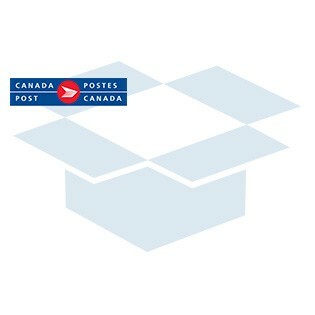 Seller must be able to select the Canada Post shipping methods that the store will provide Allowed Methods will display a list of all current Canada Post shipping methods (at time of module's creation). Seller should be able to select/deselect methods as desired. Module needs to determine if product can/cannot be shipped by a particular method based on product weight/size, and present results to customer accordingly. Module is not required to determine if products can/cannot be shipped by a particular method based on contents. This is the seller’s responsibility. By default: We're sorry the Shipping Method you are trying to use is not available for your location. Please try again later or contact us to arrange for shipping. Require signature for all shipments? Global Setting Product Attribute Customer Option Signature Required? Here you can select different formats from YYYY-MM-DD to dates including seconds. Hide estimated delivery date for all shipments? Seller is able to hide the "Expected Delivery Date" from the buyer, for shipments with backordered products. This is intended for users whose backorder fulfillment date is either unknown or varies greatly between products (e.g. 1 day to 6 months depending on the item for sellers like Tao) This will be achieved through a toggle field (Yes, No) in the module configuration panel. Set Canada Post preferred language to current Store Language? In the first field 'Ship to applicable countries' seller is presented with 2 options: 1) All Allowed Countries 2) Specific Countries Selecting 'Allowed Countries' lets the seller show all countries that are already selected in Configuration>General>Allow Countries Selecting 'Specific Countries' activates the options in the 'Ship to Specific Countries' and allows the user to pick from the list of countries selected. Note: Countries that are deselected will not be hidden in the list of countries on the Front End. This is done by changing the global list in system configuration 'Countries Options'. However, if a country is deselected in the Canada Post Module, then the module will not return any shipping quotes/options. 1) Maximum coverage allowed by CP is $5000.00 CAD 2) By default $100 of coverage is included by CP for Expedited, XpressPost and Priority Shipments. Regular parcel has $0 coverage included. Customer Options: 3) If Seller selects "Optional" then the customer is presented with a check-box (in Cart>Shipping Quote and Checkout) that allows Customer to choose Insurance. Requires customer to "Update Quote" before shipping quote is updated. This is part of the Magento module requirements request. The buyer is able to select the 'Card for Pickup' option if the seller displays it on the front end. A Delivery Notice Card will be left for the addressee and the item will then be forwarded to the designated post office. The addressee or his representative is required to show one valid piece of government-issued photo identification when picking up the item. This option is ideal for shipments containing temperature-sensitive items. In the Magento Configuration Panel, the Seller is able to choose whether to display the 'Card for Pickup' option or not. If the Seller sets the Allow 'Card for Pickup' option to 'Yes' in the Magento Configuration panel, then a checkbox is displayed on the Front End at checkout (in the same location as the other delivery options). The buyer is able to select the 'Leave at Door' option if the seller chooses to display it on the front end. This option is only available for items that are usually delivered to the door. If no one answers the door, the delivery agent will look for an appropriate safe drop location. A Safe Drop Card, indicating the location of the safe drop, will be left in the addressee’s mail receptacle. If Safe Drop is not possible, a Delivery Notice Card will be left, and the item will be available for pickup at the designated post office. In the Magento Configuration Panel, the Seller is able to choose whether to display the 'Leave at Door' option or not. ”The buyer is able to select the 'Do Not Safe Drop' option if the seller displays it on the front end. This option changes the delivery process only for items that are usually delivered to the door. A delivery attempt will be made at the door and, if no one is available to receive the item, the item will not be safe dropped. A Delivery Notice Card will be left, and the addressee will be able to pick up the item at the designated post office. In the Magento Configuration Panel, the Seller is able to choose whether to display the 'Do Not Safe Drop' option or not. If the total weight of the cart exceeds 30kgs, we take off the heaviest item, and check the remaining weight. If the cart items less the heaviest still exceeds 30kgs, repeat. As you do this we create an array of items that are shippable and we will then use this array to query canada post for rates on each element of the array and present the end user with the sum total of these quoted amounts. If any single item exceeds 30KGS (or whatever the setting is) then we must not allow shipment via canada post. We’ve created a CP Max Weight attribute in the admin section and auto set it for 30kgs. For a contract shipment sellers have the option of printing labels on either Thermal Paper or Regular Paper. This option should be selectable via dropdown in the module's configuration panel. "Note: This last step takes place for Contract Customers only. Non-Contract customers cannot make the "Transmit Shipments" call. The advantage of this system, is that it allows Non-Contract Shippers to make use of the grouping and categorizing features of the Manifest, as well as decrease the complexity involved when a customer switches from Non-Contract to Contract Shipping." When seller creates a "Shipment", we create a Magento shipment, NOT a Canada Post Shipment When a seller "adds a Manifest", we create a Magento Manifest as an empty container with a Group ID. We DO NOT create an actual Canada Post Manifest. 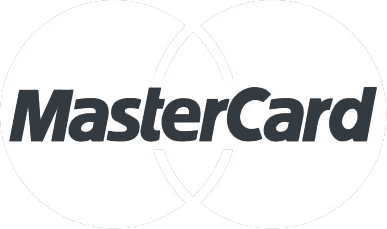 When the seller "adds the (Magento) Shipment" to a Magento Manifest, we create the Canada Post Shipment with the Group ID assigned to it from the Manifest, and get the tracking information, labels etc. If a seller "removes the (Magento) Shipment" from the Magento Manifest, we make a "Void Shipment" call to Canada Post, to cancel the Shipment. If the seller "adds the Shipment" to another manifest, we create the shipment again, but with the new manifest's Group ID When the seller "transmits the Manifest", this is when we create the Canada Post Manifest and with the assignedCanada Post Shipments (sharing the Group ID). The advantage of this system, is that it allows Non-Contract Shippers to make use of the grouping and categorizing features of the Manifest, as well as decrease the complexity involved when a customer switches from Non-Contract to Contract Shipping.